Remarkable villa on the water! Exquisite high end finishes with a decorators touch. This unit offers a Florida room overlooking the water, large family room with gas fireplace, dining area, large kitchen with granite tops, custom cabinetry and backsplash, over cabinet lighting, stainless appliances, and breakfast bar. The den (third bedroom option and city says no closet needed to qualify as a bedroom) has new french doors and another great view of the water. The master has a large bathroom with double bowl vanity and shower. 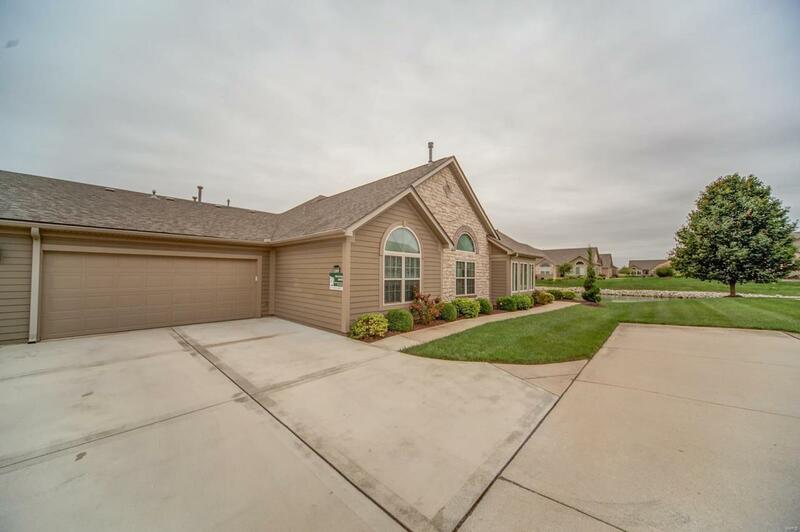 The other large bedroom, laundry room, and two car garage are also conveniently located on the main floor. 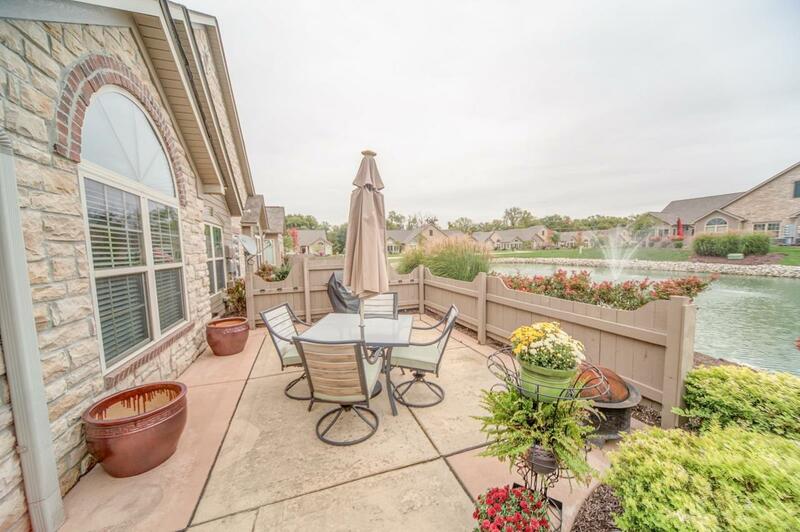 A stunning setting from the extended porch overlooking the water. 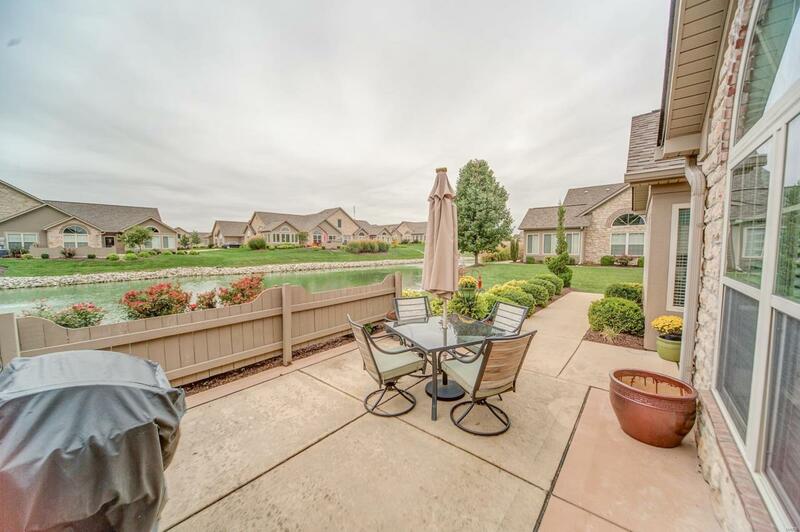 $300 a month condo fee includes the community pool, clubhouse, exercise facility, water, sewer, trash, exterior maintenance, and lawn care and snow removal. 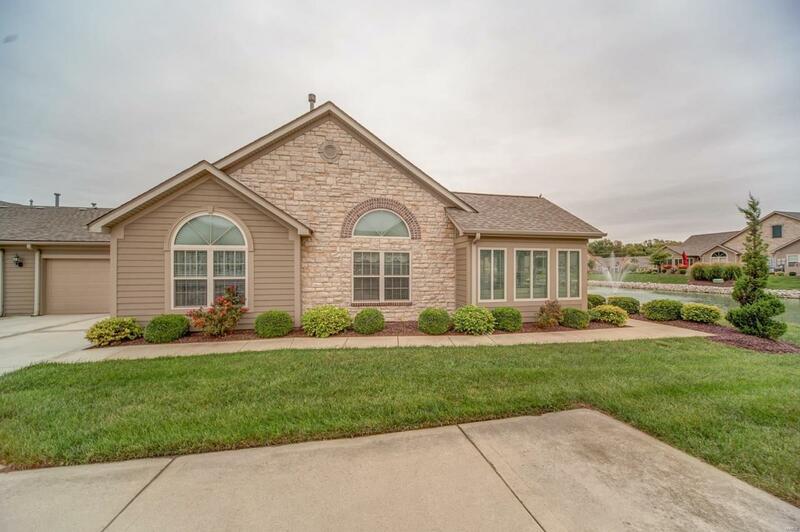 Minutes to Scott Air Force Base, I64, and new hospitals.